We have all Word Connect answers available at this page. All the newest and updated words can be found here. And with our search engine it can’t be easier to solve your level if you are stuck in the game. 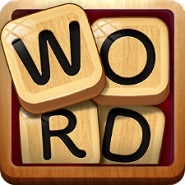 Word Connect has a lot of difficult levels and if you don’t want to waste your money to keep playing then we are here to help you. To make it easy for you we have a search engine where you can find every possible answers for Word Connect you need. Because the order of the levels can be different for each player you won’t have any issues finding all the word connect answers with the search engine. If you just want to browse the answers then look at the bottom of this page. You can find all levels there. With our search function its very easy to find the Word Connect answers. Just enter all your available letters to see the possible solutions for the game. Please give us a Like or share our page if you solved your level with the words you found here. If your letters don’t match these answers then your levels have a different order. In that case you can use the search engine at the top of the page where you can find all possible words with the letters that you have. If you are still having trouble then please leave a message at the bottom of the page with your letters, so other players can help you. Word Connect is a very easy to play game. You will get some letters and some blank fields which you need to fill with the correct words. When you connect the letters in the right order and created a word which you need then the field will be filled with that word. If you found all the words you need then you will continue to the next level. Sometimes it will be hard to find all the necessary words, but here we are to help you getting all the right Word Connect solutions!